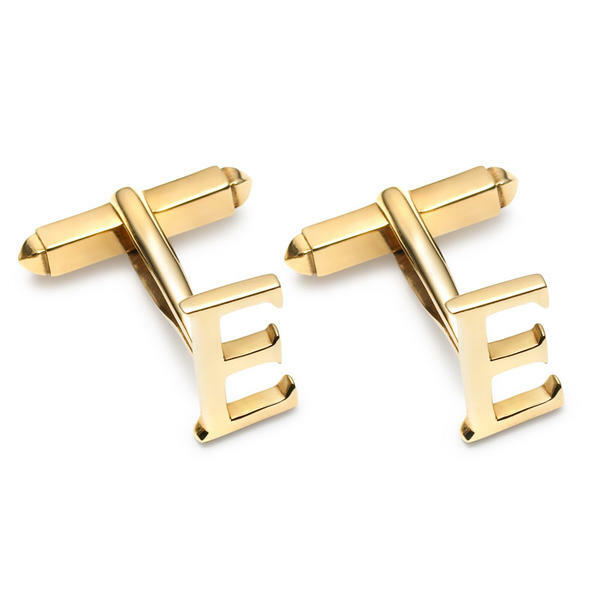 Alice Alphabet Letter single ended cuffllinks in 9ct yellow gold with one initial and swivel fittings. The Alice collection was conceived after discussing making a smaller collection of letters with a client who wanted one for his daughter Alice to celebrate her success at school. The letters were inspired by the typefaces at the Type Museum, London. The Type Museum houses collections of the Monotype system of typefaces which were in use in England and around the world until very recently, but now with the proliferation of computer printing the Monotype office has now closed. I have always been fascinated by styles of script, both ancient and modern. From Cassandra's Classic Collection.